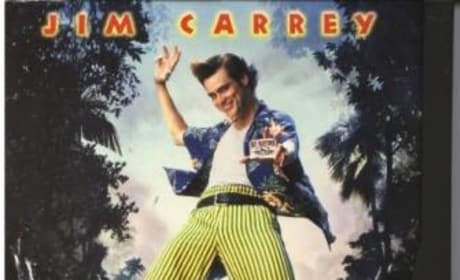 An image from Ace Ventura: When Nature Calls. 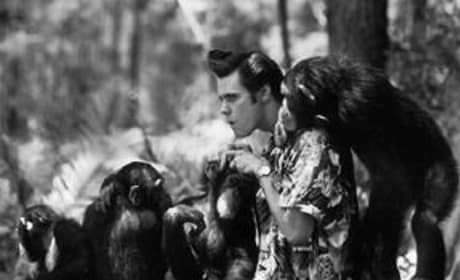 Nature is calling for Ace Ventura. Will he answer it? 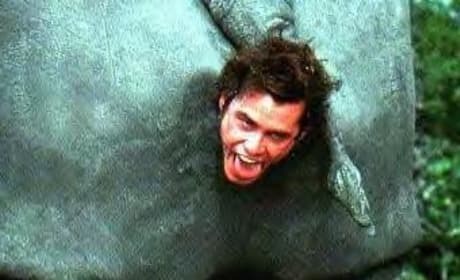 Ace Ventura is in some trouble here. But he'll probably be okay. If you were me, then I'd be you, and I'd use *your* body to get to the top. You can't stop me no matter who you are! There's someone on the wing! Some... THING! I'm sorry, what were you saying?